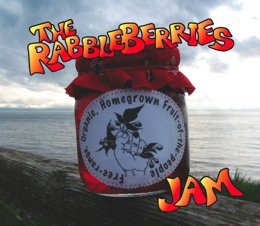 Free-Run Organic Homegrown Fruit-of-the-People Music! Our 1st CD is still available! 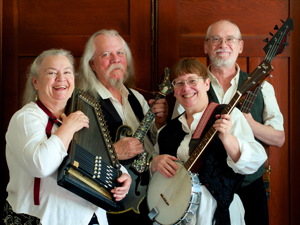 The RabbleBerries are a quartet of musicians whose wide-ranging repertoire includes music for political gatherings and social causes (for which they have been much in demand), songs of the sea, songs of workers of all kinds, original songs, traditional songs, and generally whatever tickles their musical fancy. 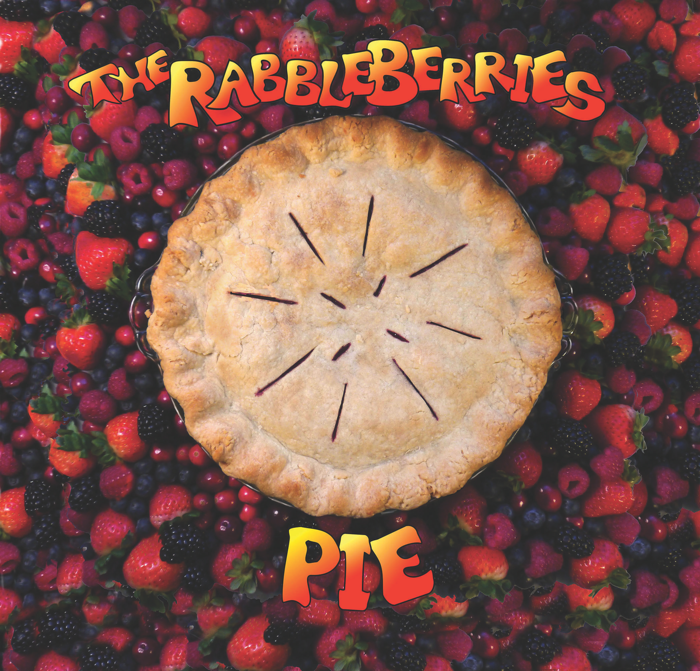 The RabbleBerries sound is full of tasty vocal harmonies and flavourful guitar licks spiced up with autoharp, flute, keyboard, banjo, mandola, thumb piano, harmonica, percussion, and electric bass. The band first came together for Victoria’s Tall Ships Festival in 2005. They liked playing together so much they thought up a band name and kept rehearsing! Sharon Hazelwood and Karen Gillmore, formerly of Virgo Rising, Alan O’Dean, who has played in a duo formation with Sharon since the beginning of the 21st century, and Ron Gillmore, who has taken over bass duties from Ken Orchard, who retired from the band in late 2011.
and just like last time, we are delighted with the quality of our second recording—again engineered by Mike Freeman in the RabbleBerries’ own living room; thus did we benefit again from his perfectionist drive! Rather let these RabbleBerries take pride in the distinctive—if not peculiar—songs of Alan O’Dean and the lovely evocations in Karen Gillmore’s work; the clear, canonical presence of Sharon Hazelwood, both solo and soaring with Karen as they both did in Virgo Rising, along with Sue Averill and Tracy Summers; and the emerging character of our new bassist, Ron Gillmore. Let us entertain you with our arrangements, our choice of material from other sources, and the humour underlying our efforts. Twenty-one songs, each a facet of personality. For the CD insert details, song list and such, check out our 'the CD' webpage. To order one or more of these fine CDs, call 250-384-5174, or e-mail rabbleberries@gmail.com—There will be a small charge for mailing (or if you are in Victoria BC, you can arrange to pick it up). Our CD price is $20 for 1 CD. Also, we’ll sell you 2 CDs for $30 and you can mix and match—we still have some copies of Jam and even a few Virgo Rising CDs left.